This was an amazing show! I feel like this was our best show ever. We had a great guest in Masta Ace, He answered YOUR questions, and Our music was pretty good too. 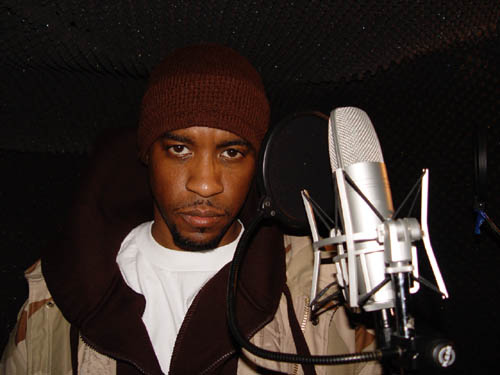 There really isn’t much that can be said except for Thanks to Masta Ace. He answered all of our questions and was real cool and sometimes kinda candid. It was a great interview and again, thanks Masta Ace. The Playlist follows, then the A’s for Class Participation and at the bottom, the link for the download of the show. Thank you all for tuning in. First and foremost shout out to HunnyB for making sure everything went smooth Friday night. Also thanks to Michael Martinez and Brian Scott Hall of The Rhythm Room (the show before mine on www.kabf.us or 88.3 KABF FM Fridays at 10pm) for sticking around and helping out. Class Participation A+’s go out to Leaf Erikson, Dynomitesoul Reck, Caleb Bryant, Timothy Elsewon Johnson, James” I’m looking for a” Newlove, Frazer Findlay, Schadrac Laguerre, Bigg Russ, Nathan Esparza, Brandon ‘Bfresh’ Foster aka Young Professor, Jams DaBoombox, Detroit Danté, Nakeisha Copeland, Steve Berger, Irene Michaels, Tobi Eldridge, Kyle Hambor, Phaleap Edmond, Jared Kelly, Mary Cooper, Kinte Givens (HUGE SHOUT OUT TO YOU) , Vasil Stefanov, Vasil’s Mom, Joseph Blessed Jay Schiller, Stéphane Wize Vetri, Theodore Pullins, Jose “PUERTO RICO” Morillo, Mercyn Vales, RJ Baker, Jay Wade, Lajuane Rapscall Wroten, Darryl Fetz, Andre Mayers, Adilet Zhumatayev, Lyrical Souljah, Alex Gonzalez, Jeff S H Lee, John ‘K-flip’ Kirby, Dylan Oliver, Titus Pierre, Ian Richards, Charles Lee Ray,Lizzie Burnham, Neil Delacruz, Troy Dawson, Lynn O Evans Jr, My cousin Jay West, Lutendo Morris, Jamy Harrell, Leanne Bergman, Karl Stanton, Sheila Mac, and Beth Pound Creekmore. Thank you all for making this an amazing night. This show is nothing without you. ~ by Professor Mike on August 8, 2010. My pleasure. You all made a great track. I would have been a fool not to play it. You don’t get the name The Professor by being foolish. Waiting to hear more from you.